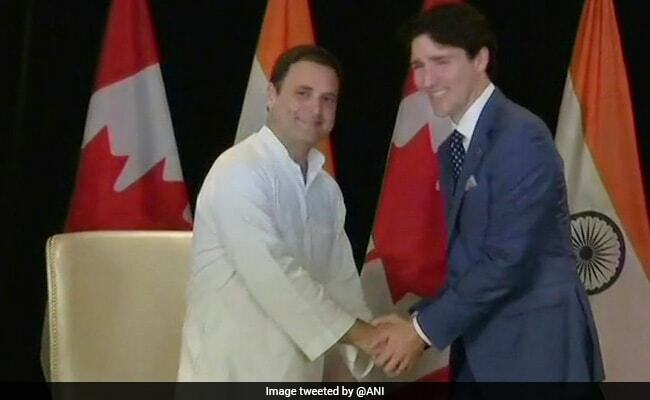 PM Modi finally tweeted a welcome to Mr Trudeau yesterday, ahead of the bilateral talks, which will focus on trade, defence, civil nuclear co-operation, space, climate change and education. The talks will also focus on counter-terrorism measures and will try to address India's concerns over Sikh radicalism in Canada. New Delhi: Justin Trudeau and Narendra Modi signed various new agreements when they met in Delhi today. India and Canada signed six agreements in areas of higher education, atomic energy, energy and sports partnerships among other. Earlier today, PM Modi met with his Canadian counterpart who is on a week-long visit to India. 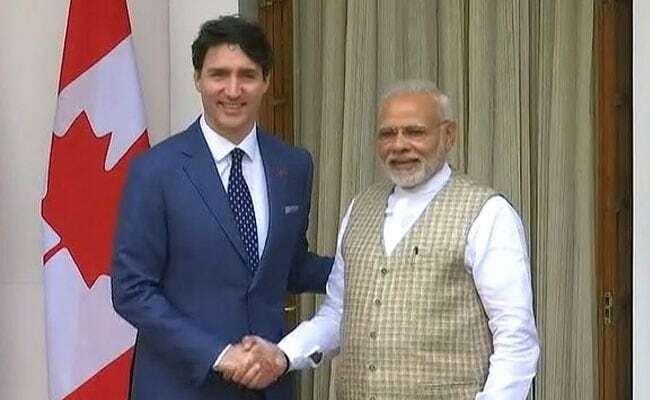 PM Modi, who has earlier broken protocol to receive world leaders on several occasions, had not extended the same courtesy to Mr Trudeau, in what was seen as a snub over Mr Trudeau's alleged soft stance over Khalistan supporters. 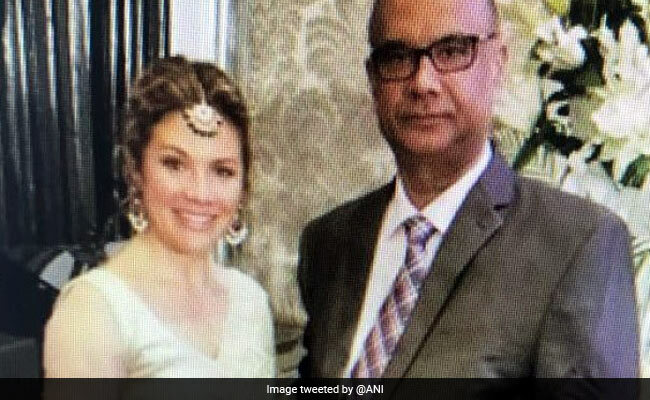 In a further diplomatic embarrassment to Mr Trudeau, Jaspal Atwal, a convicted Khalistani terrorist attended a function in Mumbai, where he posed for photographs with Mr Trudeau's wife Sophie and a Canadian minister. Atwal was invited to another function in Delhi as well, but after details of his invite emerged, his invite was cancelled. 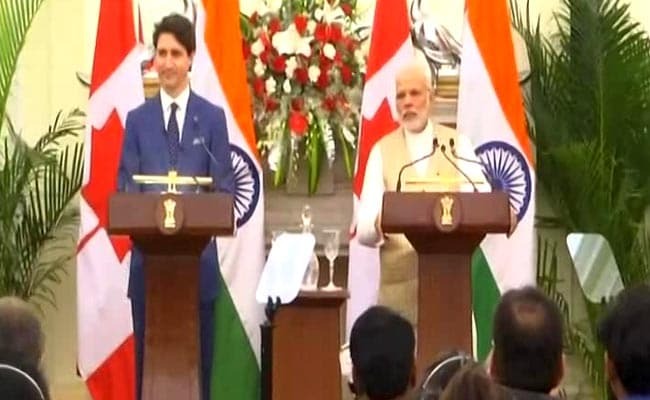 Justin Trudeau, in briefing with PM Modi, says India and Canada "share common respect for democratic values, pluralism and democracy". PM Modi, in joint briefing with Canada's Justin Trudeau, says "can't tolerate people who challenge integrity of our nations". India-Canada sign key agreements - 6 MoU agreements being exchanged in Delhi. Prime Minister Narendra Modi, Justin Trudeau address joint press briefing in Delhi. Prime Minister Narendra Modi meets Canadian Prime Minister Justin Trudeau at Hyderabad House in Delhi for delegation level talks later. 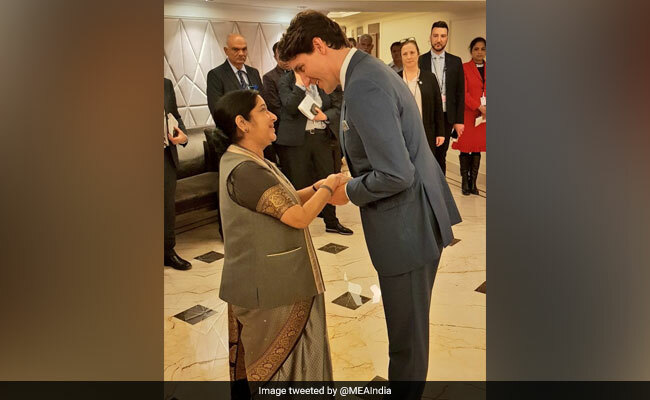 Justin Trudeau meets Foreign Minister Sushma Swaraj in Delhi. The two ministers are expected to talk about strengthening and deepening the partnership between the two countries, tweeted Foreign Ministry spokesperson. Justin Trudeau and family pay floral tribute at the memorial of Mahatma Gandhi in Rajghat. 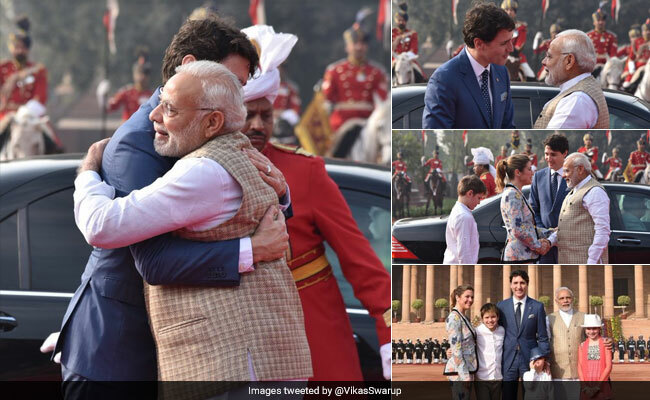 Prime Minister Narendra Modi greeted Justin Trudeau with his signature bear-hug at Rashtrapati Bhavan in Delhi. Canadian Prime Minister is expected to visit Rajghat with family for a wreath laying ceremony. The Rajghat is a memorial dedicated to Mahatma Gandhi in Delhi. The Rashtrapati Bhavan all set for Justin Trudeau's reception. Jaspal Atwal was convicted for trying to kill the then Punjab Minister Malkiat Singh Sidhu in Canada in 1986, and was sentenced to 20 years. Ahead of the meet, Justin Trudeau's visit to India was mired in a controversy after Jaspal Atwal, a Khalistani terrorist was invited to an event with the Canadian PM and his delegation of ministers. 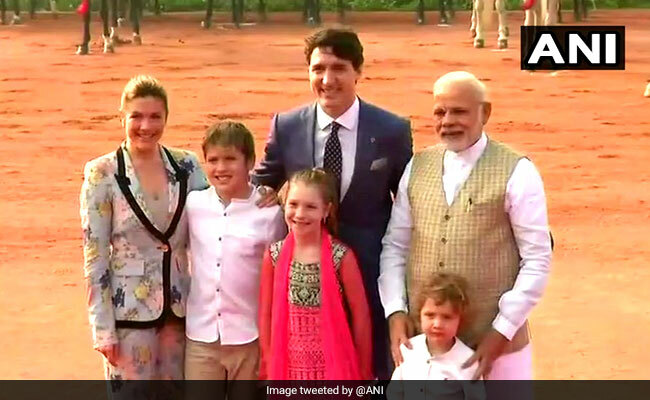 PM Modi poses for picture with Justin Trudeau and his family at the Rashtrapati Bhavan. Earlier in the day, PM Modi had posted a throwback picture with Mr Trudeau and his daughter Ella-Grace. 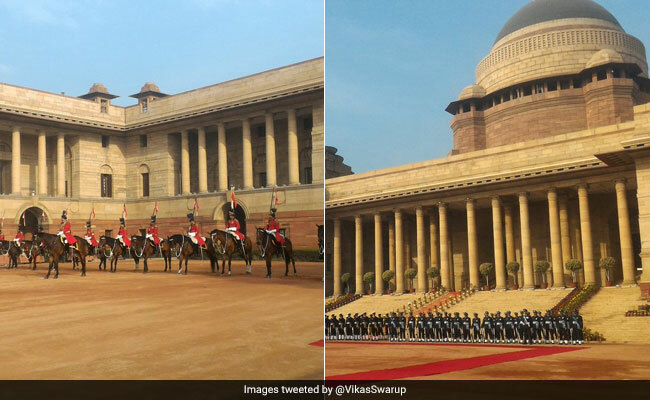 Canadian PM given guard of honour at Rashtrapati Bhavan. 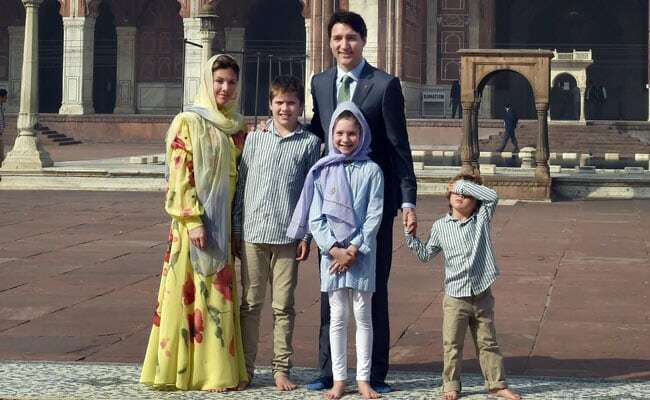 Mr Trudeau is on a week-long visit to India along with his family. Later in the day he is scheduled to hold bilateral talks with PM Modi. 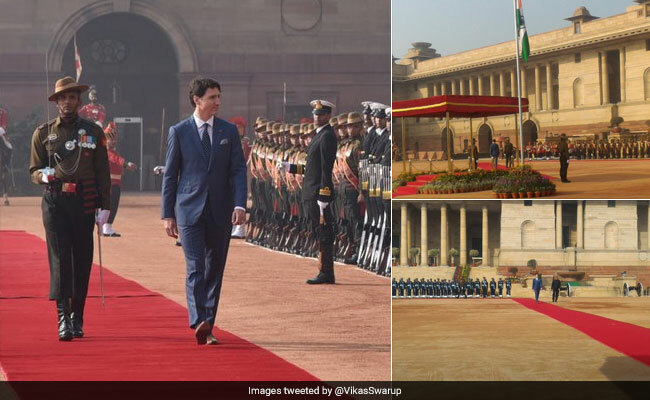 Justin Trudeau arrives at Rashtrapati Bhavan for ceremonial reception, meets Prime Minister Narendra Modi. Justin Trudeau responds to PM Modi's tweet. Says, "We'll see you today." During his India visit, Canadian Prime Minister Justin Trudeau visited a number of landmarks across India. 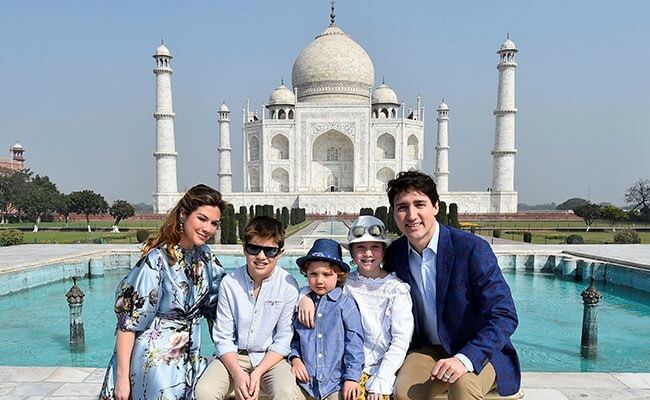 On Sunday, Mr Trudeau, along with his wife and three children, visited the Taj Mahal. Mr Trudeau, when he stopped by in Mumbai on Tuesday, also met a number of Bollywood celebrities. He also visited Delhi's famous Jama Masjid on Thursday with his family. On Thursday, Canadian Prime Minister Justin Trudeau played cricket along with his children. Mr Trudeau was seen juggling a cricket bat while walking on the pitch before giving away the bat to one of his children. Former Indian captains Kapil Dev and Mohammad Azharuddin were also present at the ground. PM Modi tweeted a photo of himself with PM Trudeau and his daughter on Thursday. In another tweet, PM Modi said that he was looking forward to holding talks on strengthening India-Canada ties. On the heels of a major diplomatic embarrassment for Canadian Prime Minister Justin Trudeau, Jaspal Atwal, a convicted Khalistani terrorist, was invited to two of his official events in Mumbai and Delhi, causing a huge controversy during his India visit. "We take this very seriously. The individual in question should have never received an invitation. The person and department responsible will take full responsibility for his actions," Mr Trudeau said. Jaspal Atwal was photographed at the Mumbai event with Mr Trudeau's wife, Sophie and a Canadian minister. Atwal was a Sikh separatist active in the banned International Sikh Youth Federation when he was convicted of a botched attempt to assassinate Punjab minister Malkiat Singh Sidhu in Vancouver in 1986. He was convicted and sentenced to 20 years.